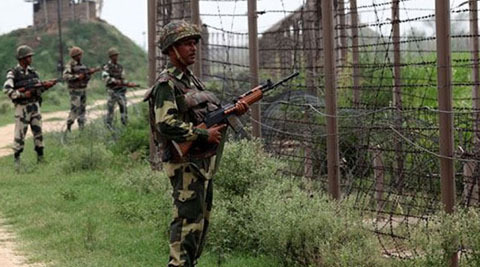 Jammu : Pakistan Rangers resorted to unprovoked firing on the international border here Wednesday. "Pakistan Rangers started firing at three BSF outposts in Arnia area today morning," a senior police officer told IANS here. "Pakistan firing started at 6 a.m. They are using small arms and automatic weapons. BSF has started effectively retaliating and firing exchanges are going on in the area," he added. The officer said no casualty or damage had taken place on the Indian side till reports last came in.